When you get a voice call, no matter what application you’re in, you always have instant access to it. Why getting a new message should be different on your phone? 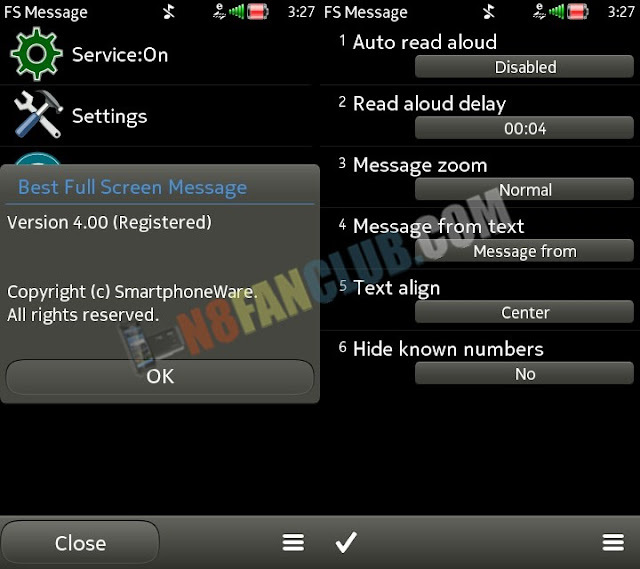 FS Message application shows incoming text message on full screen instantly when it comes. You’ve heard incoming message sound? Just take the phone out of your pocket to see the message on the screen already. Too busy to check your phone screen? No problem, the program can read aloud the sender’s name or the entire incoming message to your phone loudspeaker or headset using text-to-speech engine. If the text message is too large and does not fit the screen you can scroll it up and down. Additionally it shows all unread messages and you can switch between them very fast with left/right keys. You can mark the message as read, reply it, call back to the sender, delete the message or open it in messaging application. Compatible with S^3 / Anna / Belle Smart Phones. Can read the sender’s name or the entire incoming message aloud when it comes.